Perfect for the businessman, traveler staying overnight, or tourist who needs affordable yet upmarket accommodation in Queenstown. Apart-mint is a luxurious self-catering apartment that is located in a quiet and upmarket area of Queenstown. It offers ideal accommodation for a couple or business traveler to the area. This spacious en-suite apartment is well equipped for self-catering. The unit has a small kitchenette with a microwave and tea and coffee-making facilities. The unit features a TV with full DStv, air-conditioning and an alarm system. There is a private garden with furniture and the apartment is located in a peaceful neighbourhood. We provide secure under-cover parking behind locked gates and breakfast is available on request. Queenstown is located at the foot of the Hangklip Mountain, providing incredible scenery. The area is a hive of activity and is popular with many outdoor enthusiasts. There are many activities such as hiking, mountain biking, canoeing and fishing. Shower, toilet & basin, gull DSTV package, kitchenette with : microwave, Snappy Cheff, kettle, bar fridge, aircon, free WIFI, safe & secure parking, separate entrance with very private accommodation. Queen sized bed sleeper-couch that turns into two single beds or 1 Queensize bed. Fully kitted kitchenette, bath, shower, toilet & basin, workbench, full Dstv, aircon, free WIFI, secure parking. Two slices of bread, two slices of ham, cheese, jam & bButter, yoghurt & a fruit or fruit juice @ R60pp. Stocked bar is available on request (Please advise what is required). Beers & Ciders @ R20 each. *Please note we do not serve dinners on week-ends. Enjoy a variety of interesting and exciting activities to do in Queenstown, Eastern Cape - from art galleries, long game drives, hiking to golfing in Queenstown and more. Within the Queenstown area there are two main art galleries namely the JC Marshall Art Gallery and the Ruth Lock Shell Art Gallery. The JC Marshall Art Gallery exhibits numerous works by mainly local artists. The Ruth Lock Shell Art Gallery exhibits intricate scenes and images of nature that Miss Lock created from seashells without the use of paint or artificial colouring. Miss Lock also built the exhibition hall herself over many years. Queenstown hosts a number of privately organised art exhibitions during the course of each year, which have been found to be extremely well supported. The museum was built as a school but now houses, among many other interesting exhibits, a fully rebuilt and furnished frontier cottage. The history of the area is exceptionally well documented and illustrated in the most interesting manner. In the grounds is a 1921 British-built steam locomotive that was used to pull the “Royal” train when King George VI, Queen Elizabeth and the Princesses Elizabeth and Margaret visited Queenstown in 1947. There is also a stone drinking fountain for horses, dating back to the Victorian era. The reserve is situated on the slopes of the Madeira Mountain, which overlooks the town from the west and provides panoramic views of Queenstown and its surrounds. The species of game roaming the reserve includes to name a few, Eland, Gemsbok, Kudu, Blesbok, Springbok, Ostrich, Zebra, Indian Water Buffalo, Wildebeest, Rhinoceros and Giraffe. The reserve is also home to the indigenous Aloe Ferox, which is a magnificent sight in winter when it is fully clad in scarlet. In summer, the tamboekie thorn (Erythrina acanthocarpa), also known as “wag-‘n-bietjie” – as its hooked thorns make progress difficult, which is unique to this area, adds its colour to the many species of acacia which are covered in yellow flowers. Game drives are welcome and the reserve also has a lapa where functions can be hosted. The Reserve is open daily throughout the year during daylight hours. On the northern boundary of Queenstown, along a stretch of Longhill Mountain, lies the Longhill Nature Reserve. Several species of antelope and other wild animals can be seen in the reserve. 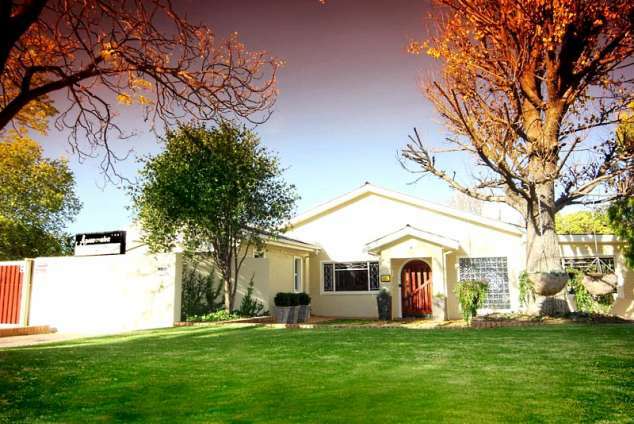 Entry to this area can be obtained through a gate opposite the Lawrence de Lange entrance and the drive includes delightful picnic spots offering pleasant views of the town. There is also a walking and running trail up the mountain that allows one to escape into real nature. Which is also home to Settlers Motocross Club & Queenstown Powerboat & Yacht club. The Bonkolo Dam, about 5 km from town on the Dordrecht road, is one of the town’s main sources of water. The wall was built in 1905 and was for years the largest concrete dam wall in South Africa. The name, Bonkolo, is believed to originate from the Xhosa word “mbongolo” meaning donkey, as these animals were extensively used in the construction of the dam. Now a popular recreation spot, the beauty of the dam is enhanced by the close proximity of hills which hold the expanse of water in a deep basin. The dam has various picnic spots and serves as the base for the Queenstown Power and Yacht Club. Over and above being a water source for Queenstown, the dam is utilised for power boating, water-skiing, swimming, sailing and wind surfing and is also stocked with Black Bass and Bluegill for fishing. Only 800m from the Apart-mint. 254 page views since 11 Jun, 2018. Last updated on 06 Aug, 2018.